Realisart! : News: Seventh Sin lösen sich auf! 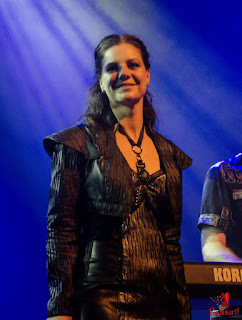 Die Frontfrau und Sängerin der Band Monique Op Heij Joosten war mir letztes Jahr beim Female Metal Event I bei einem Auftritt mit Bandkollege Vincent Reuling im Zuge der Show von Ingeborg Steenhorst aufgefallen (Link zum Artikel ganz unten). Dort begeisterte sie mit einer wunderschön klaren Stimme. 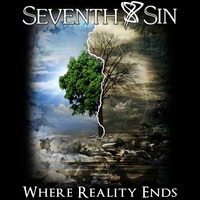 Sofort gepackt legte ich mir das aktuelle Album der Band "Where Reality Ends" (2014) zu und war positiv von der Musik und den tiefgründigen Texten überrascht. Das klang alles sehr vielversprechend! Umso trauriger, dass das erste bereits das letzte Album sein muss. 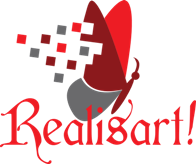 Realisart! wünscht allen Mitgliedern von Seventh Sin und insbesondere Monique aber alles gute für die Zukunft! "After 12 years Seventh Sin have decided to call it a day. 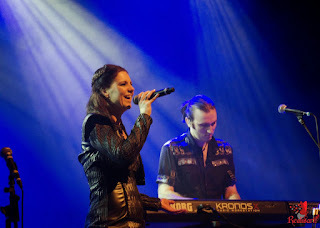 The band will split up after doing another 4 shows in The Netherlands and Belgium in July and September. After that, all band members will go their own way. We feel sad about splitting up, but we are looking back on great times and awesome memories, things we will be talking to our grandchildren about. About having the nerve to talk to a promotor about wanting to get on stage and ending up with a support show for Kamelot, about sharing stage with awesome bands like Epica, Delain, Leave's Eyes, Revamp, Xandria and Stream of Passion, about touring the UK with Edenbridge, about meeting people, making new friends, sharing a passion, enjoying every single minute of a gig….. Etc. We want to thank all fans, promotors, DJ's, reviewers, editors of magazines, sound and light crews, all bands we had the privilege to share the stage with, all stagehands and everyone else who made it possible for us to live our dream. We will be thankful forever. Please know that we are saying goodbye with pain in our hearts and we will not leave you without a proper farewell show. We will keep you posted on everything that is to come. T.B.A. - Seventh Sin farewell show – NL"